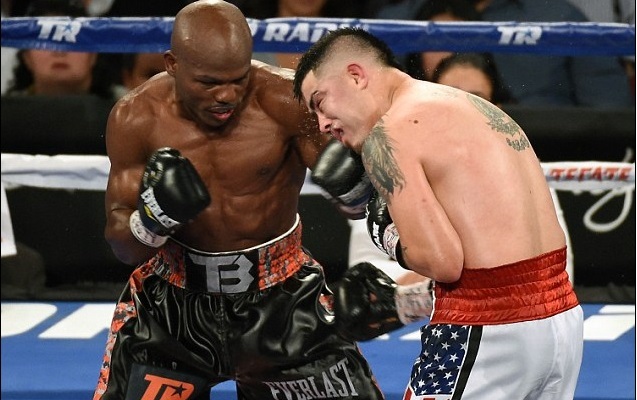 Timothy Bradley absolutely dominated Brandon Rios in the WBO Walterweight title fight stopping Rios in ninth round having dominated most of the earlier rounds. Brandon Rios was overweight and he accepted he might not box again. 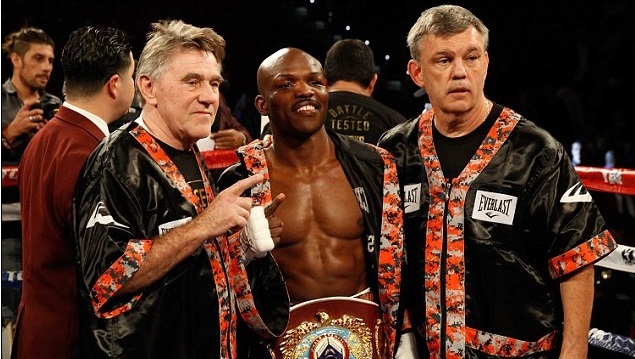 Timothy Bradley Jr defended his WBO Walterweight title which was his third consecutive defense as he defeated Brandon Rios with a technical knockout in ninth round. Brandon Rios came in much heavier than expected and looked sluggish, not much interested in what was overall an terrible performance from Rios. Bradley Jr on the other hand was slick and got him in the 9th round with the punch they worked on in the training. American boxer and WBO walterweight champion Timothy Bradley will take on Brandon Rios in what should be an explosive fight this saturday night in Thomas and Mack Center, Las Vegas and will be televised on HBO’s championship boxing (non-PPV) while BoxNation will broadcast in the UK. There are couple of other entertaining fights on the undercard most notabaly Vasyl Lomachenko vs. Romulo Koasicha. 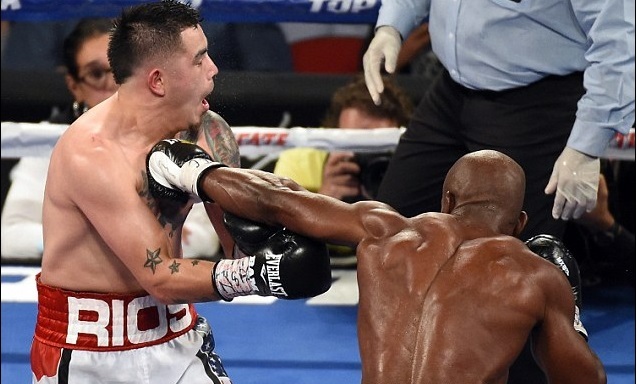 Timothy Bradley and Brandon Rios are two warriors and you only have to look at their past couple of fights to see what they bring to the table. Rios is not physically fit or posses quality ring IQ but he can take a punch and dish out a good one as well while Timothy Bradley has been in wars himself which sets up this saturday night for boxing fans. Bradley Jr’s WBO Walterweight title is on the line and winner of this fight will elevate himself back into the reckoning for bigger fights in the future. There is some interesting fights before the mainevent of Bradley-Rios with tw0 Olympic gold medalist Vasyl Lomachenko getting into his 6th professional fight against Romulo Koasicha for the featherweight title. Lomachenko is one of the most technically gifted amuture boxer and will be the one to watch out for the future. Here is the complete list of fights on this card on saturday night. Looking at the main event Bradley Jr will be favourite going into the match and if he can put together a disciplined performance he should out-box Brandon Rios. But if Rios can hurt Bradley early on we are in for a classic brawl of a bout with both fighters going toe-to-toe.